Your privacy is important to us. We provide this statement to explain our practices and to inform you of your options regarding the way your information is collected and used at this site. At Caribbean Cinemas site you will be able to join our movie club, subscribe to our newsletter and express an opinion. The types of personally identifiable information that we may collect in this site include: name, gender, address, e-mail address, birth date, occupation, telephone number, fax and information about your interest in and use of our services. You may also submit information about other people’s e-mail address to let them know about this site. We may also collect certain non-personally identifiable information when you visit our site such as the type of browser and operating system you are using and the domain name of your internet service provider. We may disclose personally identifiable information in response to a legal process such as a court order or subpoena, or to a law enforcement agency’s request. The employees, agents and contractors of Caribbean Cinemas who have access to personally identifiable information are required to protect this information in a manner consistent with this Privacy Statement. Although we take appropriate measures to protect your information we cannot assure you that personally identifiable information will never be disclosed in a manner that is never used in a manner that is inconsistent with this Privacy Statement. We will share the collected information only with our web host, who will use it to provide you with information about the services offered through as upcoming events and special offers. Our site may contain links to other sites whose information practices may be different from ours. Visitors should consult the other sites privacy notices since we have no control over information submitted to, or collected by these third parties. This site has security measures in place to protect against the loss, misuse and alteration of the information under our control. Protecting the privacy of the very young is especially important. For that reason, we never collect or maintain information at our website from those we actually know are under age 13. No part of our website is designed to attract anyone under age 13. 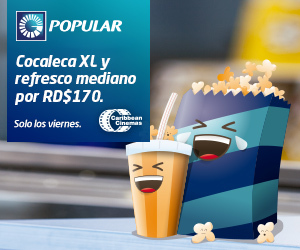 Caribbeancinemas.com. You have the following options for removing your information from our database to not receive future communications or to no longer receive our service. If you have any questions about this privacy statement, the practices of this site, or your dealings with this Web site, you can contact Caribbean Cinemas at 787-727-7137. © 2019 Caribbean Cinemas. Derechos Reservados.